• Huge attachments- Send giant files using Google Drive, which is now so quick to do, it's even simpler than Dropbox. • Powerful Keyboard Shortcuts- let you get to your email in a second. • Important-Only Notifications- a desktop email first; use this optional feature and filter the noise right out of your email effortlessly. • The Zen Switch(tm)- shut off all email notifications so you can focus, without shutting out the whole world. • Gmail as a Polished Desktop Experience- Windows for new messages, the calendar, Google Drive; Attach photos, documents, or whatever you want by just dragging them on; An inbox that works like a desktop application and not a strange menubar dropdown hybrid-- we've thought of everything. • Gmail as your Default Email Client- It really works. 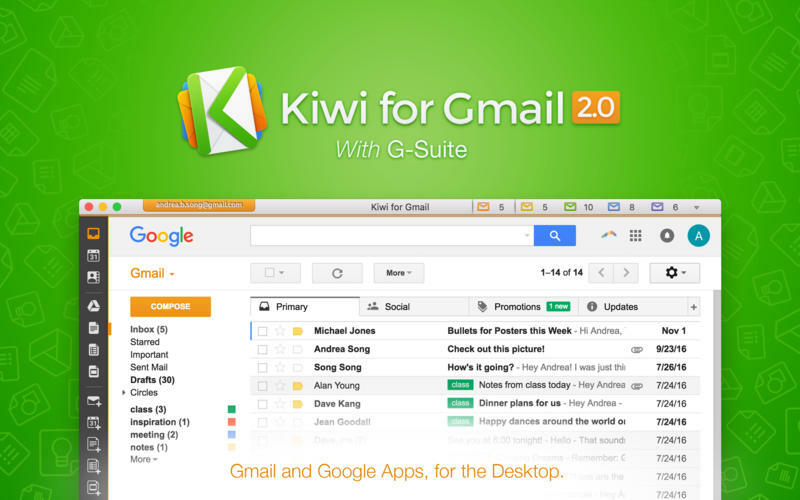 Replace Mail and Outlook completely with Kiwi for Gmail- click an email in Contacts or the browser and it'll open one of our beautiful new email windows. • Gorgeous, simple New Message windows- Vastly improved over the browser. 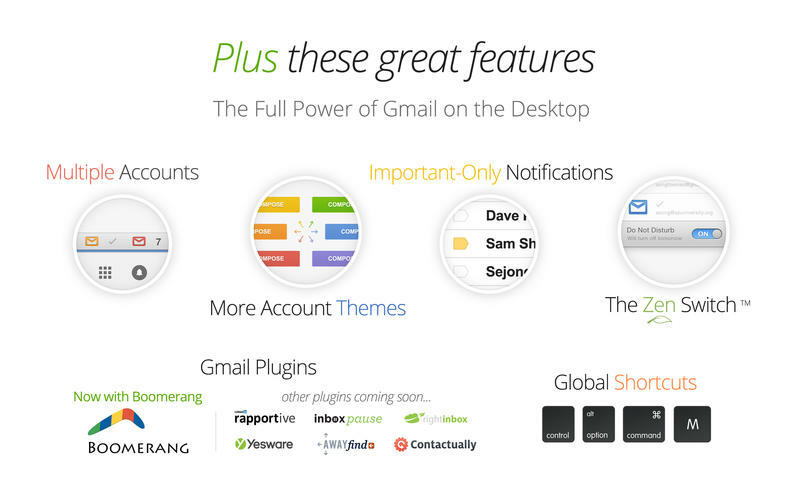 • More Gmail plugins-  We'll be integrating various third-party plugins in coming updates.